When we're deciding which dog food we want to feed our pets for a long period of time, one thing is always clear in our minds: we love our dogs and want to provide them with the best dog food that's nutritious and safe to eat. Looking at dog food ratings and checking dog food reviews websites can help us decide which choice will be healthy for our canines. Have you seen the dog food section in your local pet store lately? There are seemingly hundreds of varieties of different dog food brands, both in dry kibble and canned/wet dog food. When I used to shop in pet stores, which was a long time ago, it would always be a headache. It is so easy to get overwhelmed by the amount of choices. I personally would spend hours (if not days) reading all the labels and trying to determine the best dog food brand for my two dogs. So, what are our options when it comes to choosing the best dog food brand for out pets? One thing many owners like to consider is going by word of mouth. However, unless that mouth belongs to a veterinarian, I would not trust most of what other pet owners feed their dogs. There is no single perfect dog food brand for every dog, and we know that by now. Therefore, what works for them may not work for your Fido. Furthermore, the next time your neighbor recommends a dog food brand, ask them how exactly they know it's good for the dog. You can also stand in pet stores and read all the labels of every single dog food brand (or do the same online), but your pet is likely to starve by the time you're done with the whole process. Doing all the proper research on every single dog food brand is hugely time consuming and, frankly, quite tiring. This is where dog food ratings websites starting popping up after someone realized that pet owners need help with the research process. Some of those websites are truly helpful and useful for us, and some not so much. There are a lot of resources on the internet that we can use for dog food ratings and dog food reviews. It's especially useful for those of us who are not content to settle with the most popular commercial brand of dog food, and don't have the time to study and analyze every dog food ingredient, every label and every brand available. How dog food reviews websites rate pet foods? 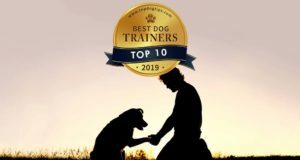 In just about every corner of the internet, there are dog food reviews websites that specialize in “objective” and “unbiased” dog food analysis, with Dog Food Advisor being one of the most famous sites out there. When it comes to dog food ratings, for the review of each dog food brand, these websites lay out the analysis according to a handful of criteria that they use to measure aspects of every single dog food brand based on the label. This process has been borrowed from the long established Dog Food Advisor website. The way the review is done is as follows. A reputable dog food ratings site will usually pick a brand of commercial pet food that can be bought by anybody, and they measure them against certain established criteria. These “established criteria” is set by AAFCO Pet Food Standards and FDA Pet Food Regulations. From there, a dog food ratings website will usually rank the brand according to that criteria and rate it based on their own set of subjective factors to give each dog food a specific rating on their scale, thereby implying the nutrition value and/or safety of that dog food brand. According to the “Disclaimer” pages of many dog food analysis sites, they either present the pros and cons of each type of dog food, or simply give the raw analysis for the owners to decide for themselves whether a brand is fit for the dog. This way the discriminating consumer can make a wise and/or objective decision about feeding their dogs. How reliable are dog food rating websites? This is, of course, is the key question here. It's important for every pet owner to understand HOW the process works, and whether these dog food ratings can be relied upon. So while this dog food review process seems like a great concept in theory, just like with any information you are presented with on the internet, you have to check the source. Furthermore, we know that pet food labels aren't always accurate, which ultimately creates a problem. Therefore, a site needs to do a more thorough dog food analysis for the final review result. 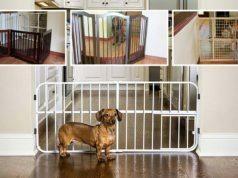 How to find reputable dog food reviews sites? Unfortunately, in my personal experience, there's very little you can do to distinguish between who does the proper dog food analysis. All you can do is follow common sense, and always, always double check your sources. First. I would say that an initial glance of the website itself should give you some vital information about their objectivity and the way the site is run. Consider whether they are impartial, or if they have specific dog food brand's ads running on the site? Regular ads (non-targeted advertising) and those supplied by Google AdSense (the most common ads that you see almost everywhere) are usually fine, since websites do need to pay their bills somehow. However, if there's clearly a bias towards a certain dog food brand, or a specific company, I would normally turn around and go check on another dog food ratings website. Second. I recommend you check their “About Us” section. Do they seem to have a bent or loyalty towards one dog food brand or another? Are these real people running the website, actual pet owners who also understand what it is to feed dogs, or is it just another run of the mill website put together for stashing ads on the pages? Don't forget to check the date of all the dog food ratings and make sure that they are relatively current (within two years of the current date). Here's an example of a detailed, comprehensive dog food review where many sources have been used to draw a final conclusion: What is the best dog food brand? However, as always, I recommend you to not trust just one source, do your own due diligence, talk to your veterinarian and check many other places before coming to final conclusions. How to choose a dog food ratings site? 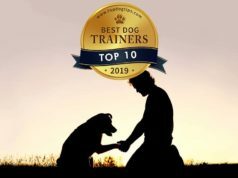 Even though it’s a good idea to double check a source that claims to offer unbiased dog food ratings, for the most part there are some legitimate and comprehensive dog food reviews websites out there that I've personally used with success. Many of them use the same techniques for dog food analysis and therefore the results are usually identical or at least very similar. When searching for the best dog food reviews websites, make sure they offer an extremely comprehensive look at many of the popular brands on the market today – both organic dog food brands and non-organic varieties. Ideally, the site will do deep dive into the dog food manufacturer’s background, the manufacturer’s philosophy, and a detailed breakdown of the ingredient list and how those ingredients might affect your pet’s health. All dog food review sites are not created equal, too. Not every site that promises unbiased reviews of different brands of dog food is able to deliver the degree of detail that another one can. Again, for the best results, check multiple sources and then draw a conclusion. I personally also like to see a website that's extremely skeptical, and who also follows logic and science. For example, even though raw dog food diet may be a great choice for some dogs (especially considering a vast amount of anecdotal evidence), there's also a lot of controversy surrounding this topic. Studies have shown that many dogs may get ill from eating raw. But the most important factor will always be the ingredients in dog food. If you want to find quality dog food for your pet, the more details you can get on the ingredients used to create that specific dog food, the better. Simply identifying all the ingredients in the dog food we purchase is good, but it’s not enough. You need an evaluation of those for safety, contamination, nutritional adequacy, potential benefits and side effects. Knowing how every one of those ingredients (or at least the first ten listen on the label, which are the most important) and the combination of nutrients, and how those will affect your pets is a much more valuable information to have before buying dog food. Just like their humans, dogs need the right combination of nutrients in order to sustain long, happy and healthy lives. If that combination is “off” in any way, it can lead to a myriad of both physical and mental health problems. There are several canine diseases linked directly to dog food. That’s why it is so important to be aware of the wheat, corn and other fillers in the dog food we purchase. Like humans, there are dogs that are sensitive to these types of fillers. Ingredients like these can cause digestive issues in your dog such as bloat and other more serious problems like irritable bowel disease (IBD). And just like humans, other dogs may completely tolerate these foods. Gluten free in dog food, anyone? Likewise, there have been increasing issues of obesity developing in dogs. Dog foods that contain a lot of grains and fillers are also nutrient deficient. As a result, dogs are not getting their proper nutrition, thereby owners are overfeeding their pets, with these grains and fillers can cause bloating and weight gain in dogs. When we consider all of the potential health issues our pets can incur due to poor nutrition and our own lack of knowledge or understanding about what we’re feeding them, it makes the concept of dog food ratings websites a very helpful concept. All you have to do is tread lightly, check your sources and then due your own due diligence as well. I know that personally, when I take the time to do my own background research on the site, checking and double checking sources, reading product's reviews on the product's page (e.g. if a dog food is sold on Amazon, just go to the reviews section and check what other pet owners are saying), then relying on the information provided by dog food ratings websites can be very helpful. At the very least, dog food reviews can give you guidance on what to watch out for, where to look and what to avoid. Clearly, the wisdom to make the best dog food choices for our pets is not found in the simple charts saying “this brand of food is good” or “this brand of food is bad“. READ NEXT: How Commercial Dog Food Is Made?